Rabbi Norman Twersky was the son of R. Meshulem Twersky, Tolna Rebbe of Boston. He served as rabbi of Congregation Beth Shalom in Rego Park, Queens, NY. 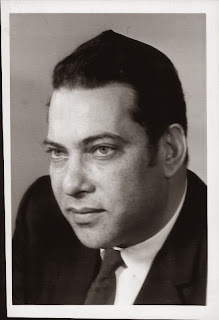 He was my uncle, brother of my father Moshe Zvi ben Meshulem Zushe. I loved him so much. He was my moreh d'asra at Beth Shalom, my mesader kedushin and my friend. A fine man, from whom I learned much. I miss him.